If you have ever believed that Japan is a nation of workaholics you might be surprised to learn how many days off people take for national holidays. Currently there are 15 national holidays laid down in the Public Holiday Law of 1948, last amended in 2005. Each of these non-working days has been designated as such because of its significance to the Japanese nation. Some are celebrated as days of grateful remembrance, while others are intended to nurture traditional customs and to build a better and more prosperous society so that Japan thrives as one harmonious nation – to paraphrase the Public Holiday Law itself. By examining why these particular days have been selected as worthy of the accolade ‘National Holiday’, we gain some insight into Japanese psyche and culture. So over the next 12 months this column will look at all 15 holidays, starting with those in October, November and December. Here in the UK this summer we enjoyed the huge success of the London Olympics and Paralympics. In Japan people celebrate Health and Sports Day every autumn on the second Monday in October. This is one of the nicest times of year in Japan, when the hot humid summer is over and the weather is perfect for playing sport. The national holiday was initiated in 1966 to commemorate the 1964 Tokyo Olympics; originally it was always held on the 10th of October, the day of the opening ceremony in 1964, but in 2000 the day was altered to take account of the ‘Happy Monday System,’ which enables people to have three consecutive days off. 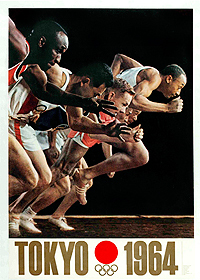 One can imagine how proud the Japanese people must have felt in 1964, to be hosting the prestigious games in Japan for the first time, less than two decades after the end of the devastation of World War II. It signalled the arrival of a new and prospering Japan on the international stage. November 3rd was the Meiji Emperor’s birthday; born on that date in 1852, he died on 30th July 1912. The day was traditionally known as ‘Tenchō-setsu,’ a day celebrating longevity on earth and in heaven. The Meiji Era was a time of rapid development and modernisation in politics, industries and society in Japan. In 1946 November 3rd was also the day when the Constitution of Japan received the current Emperor’s formal assent. The holiday was established in 1948 to commemorate these two seemingly unrelated events, both of which happened to fall on the same day of the year. It took the keywords ‘freedom and peace’ from the Constitution and ‘culture’ in reference to the significant prosperity and creativity of the Meiji Era. Prior to the establishment of this holiday and before World War II, November 23rd was celebrated as an imperial harvest festival called ‘Niiname-sai,’ meaning celebrations of the first taste. 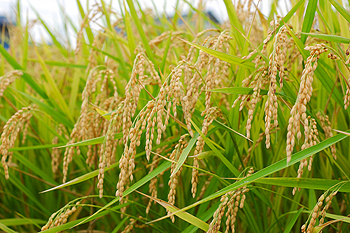 In ‘Niiname-sai’ a new crop of rice was offered to the Shinto deities and then to the emperor, who tasted the rice as their gift and gave thanks to the gods for exercising their powers on earth and bringing about a successful harvest. The imperial court still celebrates the ritual by holding ‘Niiname-sai’ every year, but nowadays this holiday is more of an opportunity for everyone to appreciate and thank each other for their work rather than to thank the gods for their gifts. This national holiday is the birthday of Emperor Akihito, born on 23rd December 1933. Unlike Queen Elizabeth II who celebrates two birthdays each year – her actual birthday on 21 April and her official birthday on a Saturday in June -, this is the only celebration of his anniversary. The birthday of the reigning emperor has been a national holiday since 1868. Originally known as ‘Tenchô-setsu,’ like ‘Culture Day’, it was renamed ‘Tennô tanjôbi, or ‘Emperor’s Birthday,’ in 1948 under the Public Holiday Law. On 23rd December the gates of the Imperial Palace are thrown open to the public, something which otherwise only happens on 2nd January for the New Year festivities. Well-wishers flood in see the Emperor, Empress Michiko and other members of the imperial family appear on a palace balcony to greet them.